Building Highlights: ﻿﻿﻿﻿ Enjoy the fantastic views of False Creek, Downtown and English Bay. 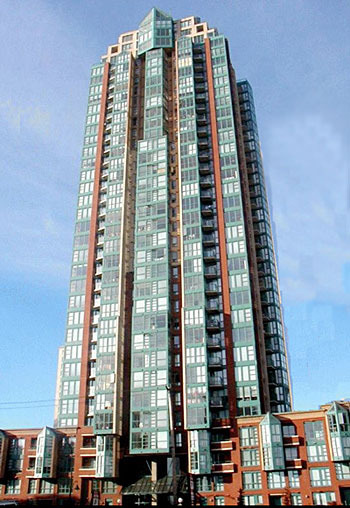 Live in the heart of trendy Yaletown close to high fashion, the best shopping, dining and entertainment. You're swept up into a new view of Vancouver, THE PINNACLE sparkles over the city's new cultural and entertainment center, amidst a landscape of theatres, sports domes and downtown amenities. A stroll in any direction and you happen upon fabulous restaurants. Nearby, you will discover your own personal Yaletown hideaways, Robson Street shopping pleasures, and the glorious bustle of the Georgia Street malls. Other notes: Easy to show!